The last discussion on hydration was referring to the variety of ways the body will loose water in a 24 hour period while not exercising. Recall that 600 ml of water was lost through the skin by a process called insensible loss. This is essentially water being evaporated from the skin without our sensing this action. This equates to about 20% of our body water loss, the majority is through urination. However, this all changes significantly with exercising. The entire reason for sweating is to rid the body of heat due to the increased rate of muscle contraction (metabolism). If we can not get rid of this heat, we will literally burn up from the inside! So, in order to prevent this from occurring, the body brings more blood to the skin surface attempting to release the heat to the outside. As the skin gets hotter, more heat escapes. A practical example of this is when placing your hand on someone’s forehead to check for a fever. This process alone would not be able to rid the increase heat production. Placing water on the skin surface will insure a much faster way to lose the heat. By acting as a sponge to “absorb” the heat (energy), causes the water molecules to move faster and faster until it is able to break free from the surface in the form of steam. Yup, we are actually boiling water! How fast the evaporation occurs is strongly influenced by environmental conditions. The chart below shows how much water is lost while running in hot and humid conditions compared to cool and dry. The overall change is about 4 times more water loss in hot and humid conditions. Mother Nature plays a bit of a prank on us. She tricks us to sweat more because the environmental conditions are not good for quickly cooling down our body. Our body tries to cool down faster by sweating more. This helps a bit, but we are sacrificing more water resulting in faster dehydration and decreased performance. The chart below is average sweating rates per hour of activity. Remember that 1 liter is equal to 1 lbs. For example, if you were to play competitive tennis in the summer, you could lose as much as 2 lbs per hour; even more in hot and humid conditions. Ward’s published research extends from non-human primate genetics to human disease. He is a former research fellow at Harvard Medical School’s New England primate research center and former member of the primate immunogenetics and molecular ecology research group at the University of Cambridge. Q: How much do scientists understand about Ebola? A: Since first discovered in Africa in 1976, scientists have uncovered much about the virus, but the development of a specific treatment or vaccine remains elusive. Pinpointing the definitive reservoir of the virus, or natural host, has also been difficult. Q: How does a person become infected by Ebola? Can it be spread person to person? A: Ebola is first transmitted to humans through contact with bodily fluids of infected animals such as nonhuman primates and fruit bats. Ebola then spreads amongst humans through contact with the bodily fluids of infected people, causing vomiting, diarrhea, impaired kidney and liver function, and finally internal and external bleeding. It kills up to 50 percent to 90 percent of those infected. Q: Why has there been an increase in Ebola outbreaks? A: The ongoing outbreak is the first to hit West Africa and the worst on record with nearly 600 deaths since February. The uncontrolled spread of the disease has been fueled by close contact with deceased during traditional burial ceremonies, regional distrust in government healthcare officials, and active trade across Guinea, Sierra Leone, and Liberia. There is also a strong reluctance of the infected to come forward. This reluctance makes containment and isolation of the virus extremely difficult, exacerbated in countries with very limited infrastructure and difficult terrain. Q: Has Ebola ever been detected in the U.S.? What’s the risk of that? A: A member of the Ebola virus family, Reston ebolavirus, was detected in the U.S. in the early 1990s through importation of infected monkeys from the Philippines. However, no humans developed symptoms of the disease. It is unlikely that the current Ebola outbreak will spread to the U.S., given that the affected countries are not major hubs for air travel and that transmission, normally requiring extended physical contact, is not as easy as catching the flu, for instance. Q: How could individuals or groups in Oklahoma help communities affected by the recent Ebola outbreak? A: Doctors Without Borders has been one of the lead organizations fighting the disease in West Africa from the start. There are many ways to support their mission, and I encourage those interested in this ongoing crisis to do so. Studies and testing have found a range for the amount of water present in the body. The average if using a male weighing 154 lbs or 70 kg (1 kg is one kilogram and is equal to 2.2 lbs), then his approximate water weight is 88 lbs or 40 kg. This is 57% or roughly 2/3 of the total body weight. Infants can have a water weight of 75% while obesity brings the water weight down to percentages around 45%. In addition, there is a natural tendency for water weight to decrease as we age. The loss of water can occur in many ways. This includes breathing, talking, exercise, evaporation from the skin, sickness and cellular metabolism (chemical reactions occurring in the cell that utilize water in the chemical reactions). 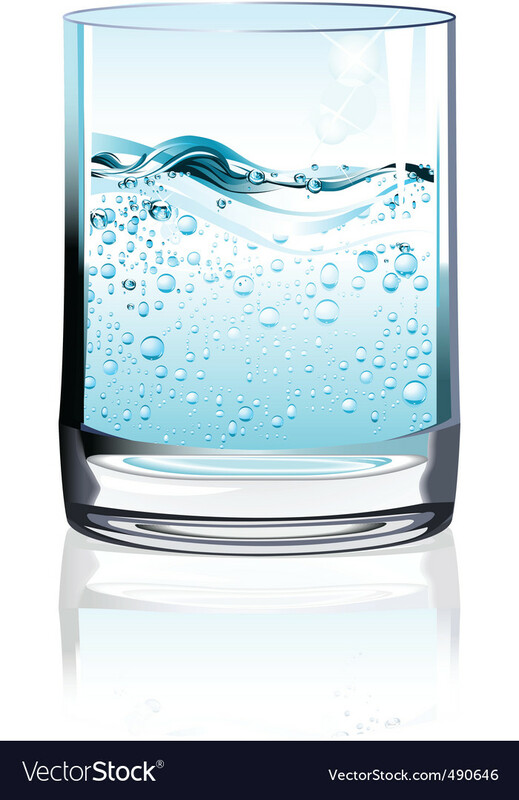 In an adult, the average loss of water is about 2300 ml (five milliliters will fill one teaspoon or 1000 milliliters equals 1.06 quarts) or 2.5 quarts, which is a little more than a 1/2 gallon. Water loss varies dramatically, primarily dependent upon activity levels and outside temperature. The volume of water loss from various paths depends upon several factors. If the outside temperature is 68°F with normal activity and movement, the loss of water from breathing is 300-400 ml, evaporation from the skin is 300-400 ml, urine is 1400 ml, sweating is 100 ml and feces (“poopy”) is 100 ml. In hot weather, the overall loss of water can increase by 50%. This loss is primarily from increase loss from sweating, perhaps up to 14 times higher. A fever increases water loss. For every 1° C increase in body temperature, there is about 200 ml more loss of water. This is the start of a 6 part series on the importance of water for overall health, exercise and CTM (Connective Tissue Molding). Water is an essential nutrient for our bodies. It’s use is for all chemical reactions that take place at the cellular level and is needed to properly bathe, cushion and secure all the cellular components as well as acting as a cooling agent to maintain the body temperature. 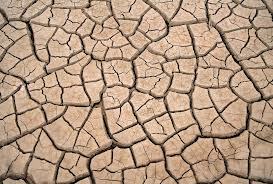 It is such a critical component that we could survive for weeks without food, but only 3-4 days without water. Studies and testing has found a range for the amount of water present in the body. The average if using a male weighing 154 lbs or 70 kg (1 kg is one kilogram and is equal to 2.2 lbs), then his approximate water weight is 88 lbs or 40 kg. This is 57% or roughly 2/3 of the total body weight. Infants can have a water weight of 75% while obesity brings the water weight down to percentages around 45%. In addition, there is a natural tendency for water weight to decrease as we age. A great visual for thinking about the effects of water, particularly regarding flexibility, is a baseball mitt. The new glove is soft and flexible. However, if you leave it outside in the hot sun and all the elements for several months, it will be hard and inflexible. What’s happened is the water has been removed for the leather! This is what occurs to our body as we lose water and don’t replenish it properly. We’ll become stiff, tight and in pain. Email with questions. Click here to set up a time to visit with me. Do you have Fibromyalgia? How do you know? This is from Medscape.org released 3/14/2014 reviewing a study on Fibromyalgia diagnosing. The study basically looked at the standard diagnosis of of 2011 that has 19 specific tender points and 6 new subjective complaints (difficulty sleeping, fatigue, poor cognition, headaches, depression, and abdominal pain). This was compared to a study done in 2013 that has symptom questionnaires and rating of 28 tender locations. It was found that the 2011 criteria provided a sensitivity of 83.5% and specificity of 67.2% and correctly classified 73.8% of patients. The 2013 criteria were slightly less sensitive at 80.7%, but had a higher specificity (79.6%) and classified 80.1% of patients correctly. The bottom line is that fibromyalgia is a diagnosis based upon exclusion. We need to look at other possible causes and rule them out before arriving at fibromyalgia. I do have quite a number of fibromyalgia patients. Click here to set up a time. “Robert M. Bennett, MD, from the Oregon Health & Science University in Portland, and colleagues published their results online February 4 in Arthritis Care & Research. According to the National Institutes of Health, fibromyalgia affects 5 million adults in the United States, with women accounting for 80% to 90% of diagnosed cases. The disorder is characterized by muscle pain and fatigue and is marked by “tender points,” specific locations throughout the body that hurt when pressure is applied. The 2011ModCr include 19 pain locations and 6 self-reported symptoms: difficulty sleeping, fatigue, poor cognition, headaches, depression, and abdominal pain. The research team, geographically diverse clinical investigators skilled in diagnosing and treating patients with fibromyalgia, sought to validate the modified criteria in a more diverse set of patients with chronic pain, typical of the patients clinicians see daily.